The holidays are rapidly approaching and along with the anticipation of the holidays come planning, driving around and shopping, decorating and lots of other activities. While we know many of you have a lot going on leading up to the holidays, we thought we would take a minute to give you a few suggestions for ways you can be a little more ‘green’ this season. Everyone likes holiday lights, but the lights require electricity. Think about cutting down on your lights decorations and displays. If you are going to decorate your house and/or tree with lights, reuse lights you already have or if buying, choose LED lights that are more efficient. If you have to drive around to stores and the mall for holiday shopping, try to carpool with a family member or friend to cut back on emissions. While you’re shopping, try to bring reusable shopping bags if possible. 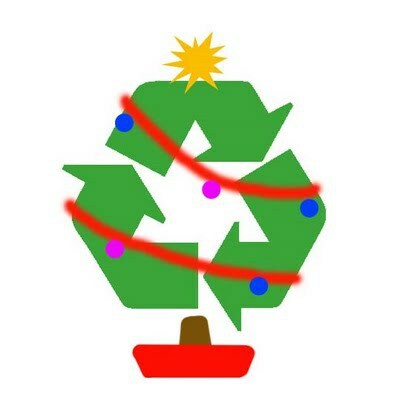 If you are planning on sending out holiday cards and haven’t done so yet, think about an e-card or at least choosing cards with post-consumer recycled content. When it comes to wrapping gifts, try to be green if you can. Personally, leading up to the holidays I collect and save paper bags when I go grocery shopping, and when it comes time for wrapping, I cut the bags open and use them to wrap the gifts. These are just a few suggestions to get you started. There are more out there if you are interested and want to look online. Good Luck and be safe!